“The UNDO IT! Playwriting Contest does it again. Jenny Nicholson (SMC ’13) gives new life to Oedipus in a suburban parody that makes us look for the Rex family next door. The King is mean, the plagues are relentless and now he has the Home Owners Association to answer to. 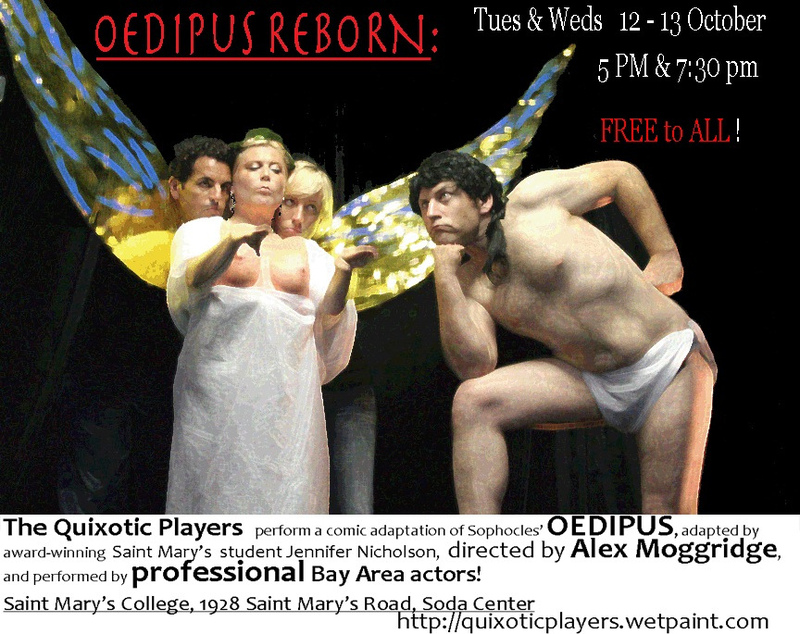 In “Oedipus Re-Born,” you will see Jocasta, Teiresias, and the Sphinx trying to reason with a testosterone-driven Oedipus. Did I mention this show is FREE? 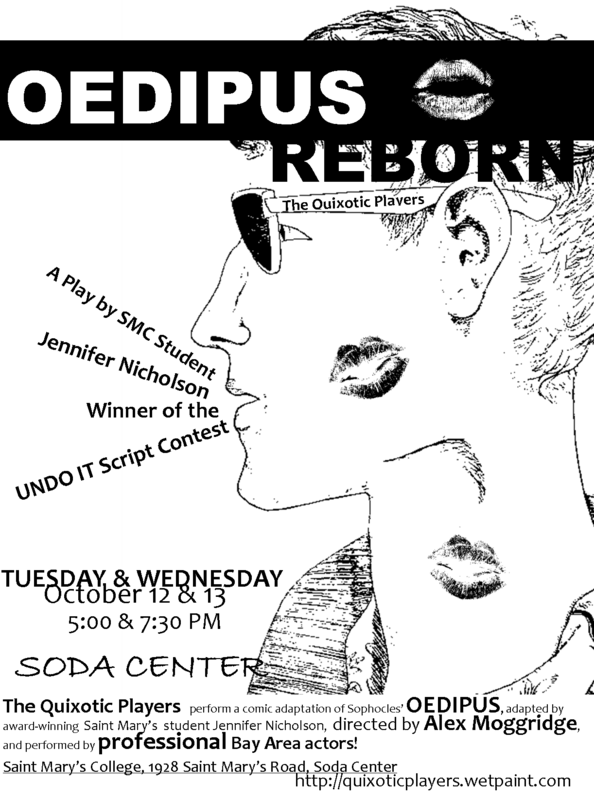 This entry was posted in show list, Shows, stage and tagged 2010show, Oedipus Reborn, plays, shows-10-2010, theater on October 5, 2010 by wmaierica.